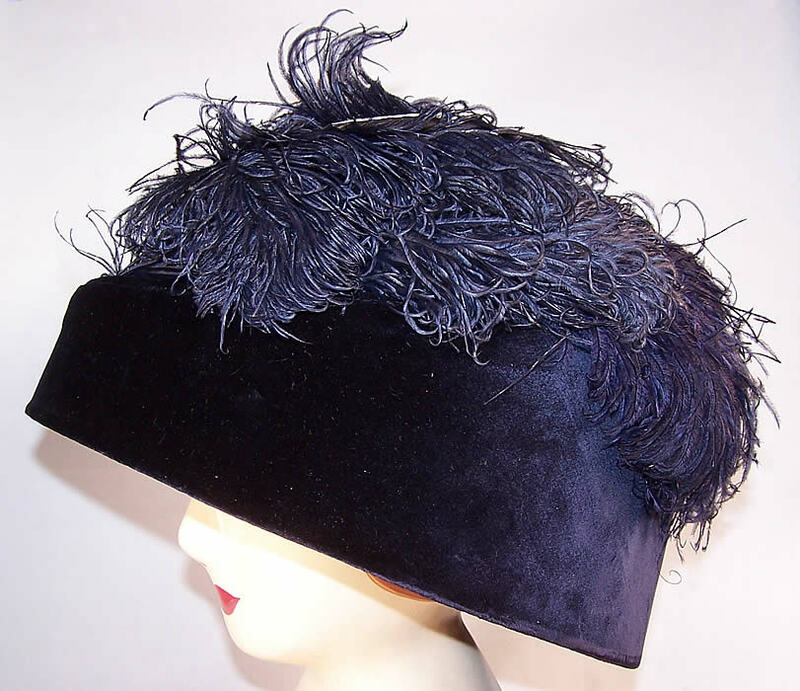 This antique Edwardian Titanic era navy blue velvet ostrich feather large bell shaped hat dates from 1912. 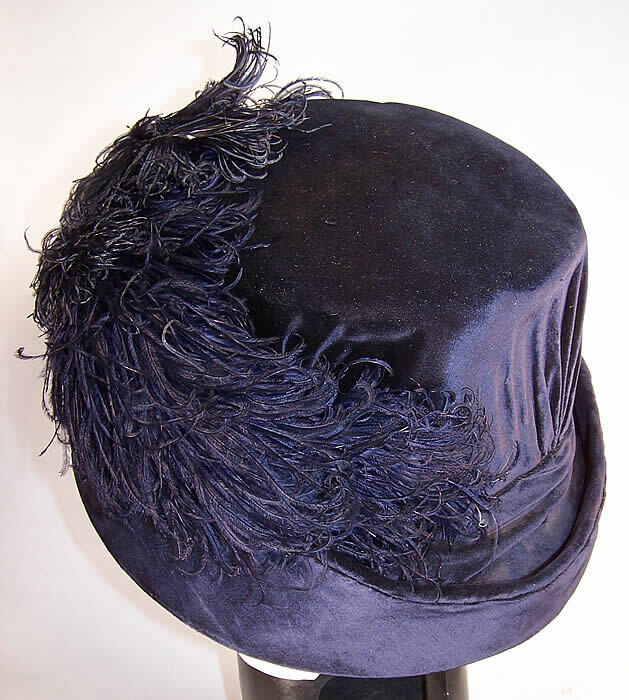 It is made of a dark midnight navy blue velvet fabric, with pleated accents on the crown and blue ostrich feather plumes along the side. 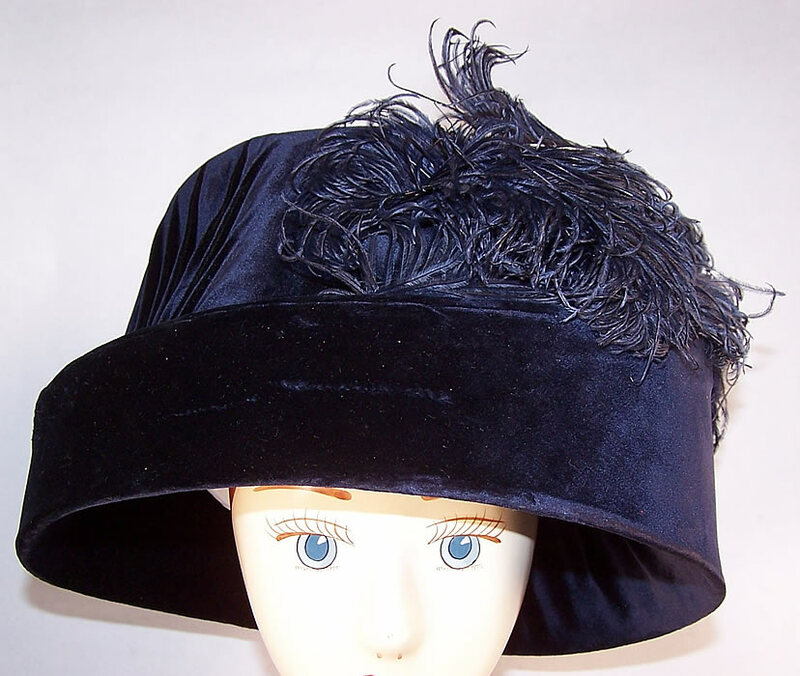 This lovely ladies large over sized toque hat has a huge pot, bell shaped style, with a tall round crown, wide rolled turned up brim and would have sat perched atop a large Gibson Girl style pompadour hairdo. 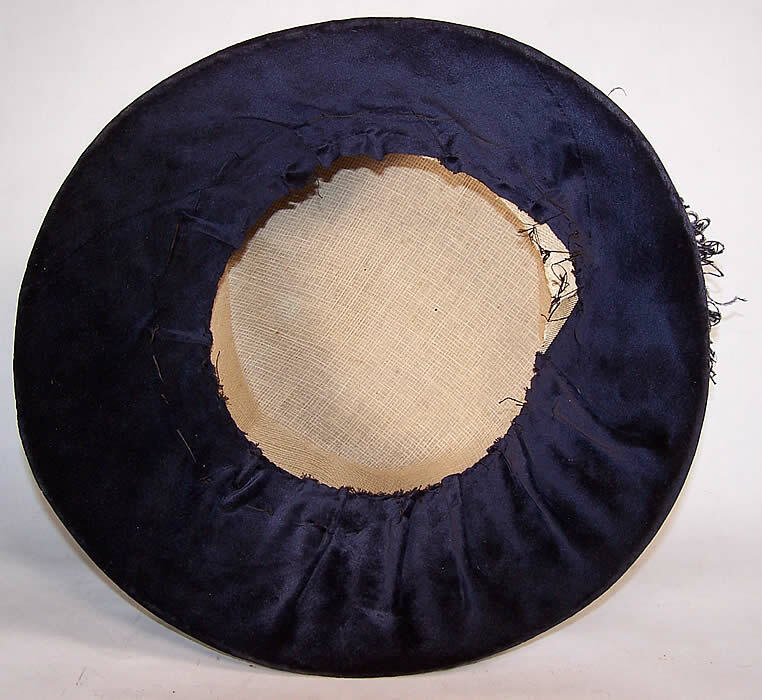 The hat measures 23 inches inside crown circumference, 37 inches outside, with an 8 inch tall crown. It is in excellent wearable condition, with only the inside crown lining missing. 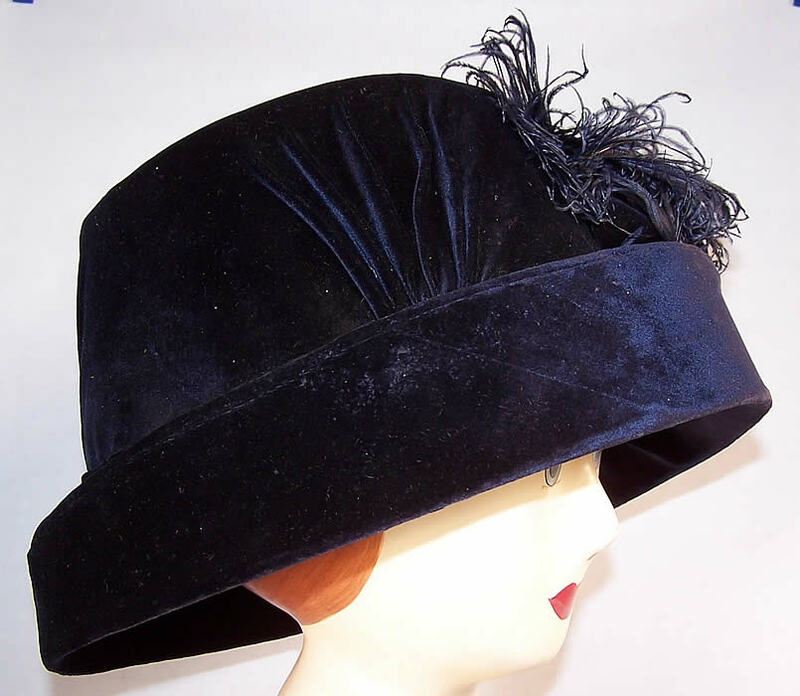 This is truly a rare find, quality made, dramatic, grand ladies hat! It so rare to be able to see inside the hat like this. Overall, a nice hat that does look in wearable condition.